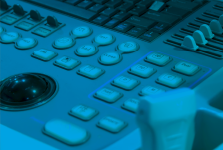 Multi-Medix’s Probe Pool provides access to an extensive range of loan probes/transducers, ensuring your organisation retains maximum operational uptime on its ultrasound assets. All probes are validated prior to release, and include a comprehensive report detailing condition, performance, and electrical leakage safety. Loan probes/transducers are shipped same day and fully indemnified for the NHS via the Department of Health Master Indemnity Agreement (MIA). For access to the probe pool, for individual or multiple probes/transducers, please contact us.